We had a great mini-tour with several stops in the Northeast, from Boston to Brooklyn, and now we’re back in Ohio, getting ready for the Album Release Party on March 29th at our home venue, the Madden Road Music Hall. Thanks so much for supporting live music by coming out to our gigs and for purchasing the new album, now just a few weeks old. We can’t tell you how much we appreciate it! 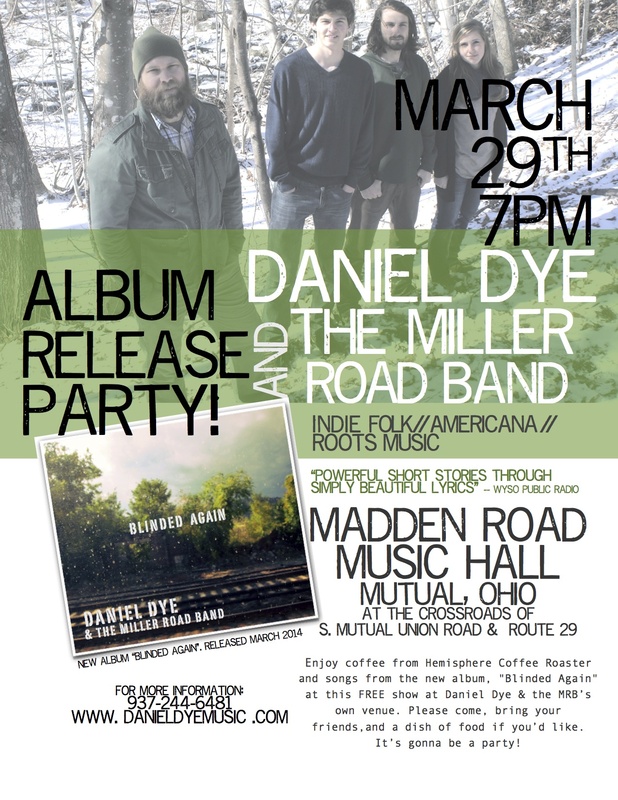 Previous Write a Song with Daniel Dye & the Miller Road Band!